Learn how leveraging a Corporate Social Responsibility program will help your company manage your corporate volunteering efforts, as well as measure the quantitative and qualitative results of those programs. What is employee engagement? A general problem that companies have with employees who are not engaged and not challenged adequately with their tasks is having difficulties in retaining them long term. On a smaller scale, there are issues like the lack of productivity and any enthusiasm which usually leads to a decrement in the quality of their work. Managing a volunteer program is hard. Maintaining a successful volunteer program is even harder. For this reason, we get a lot of people asking us how it’s done. But don’t let it slow you down. Your company is fantastic at what you do... right? Leave the volunteering advice to us! We’ve got this. Producing a volunteering event for your company is a win-win for the benefiting charity and your organization, too. It may feel a little awkward to want to take credit for helping others publicly, but not to worry. Companies have always been an inspired source of volunteering, but it was in 1994 when Congress passed the Martin Luther King Jr. Holiday and Service Act that MLK’s birthday was officially designated as a National Day of Service. Since then corporate volunteering has gone big, with nationwide campaigns among Fortune 500 companies that span multiple office locations. The approaching holiday season will be full of shiny objects designed to distract and draw your attention to shopping malls and Black Friday deals. But let’s not forget that the holidays are also a time when some need little extra help to get by. Organizations that participate in a robust corporate responsibility program find that the benefits of their great deeds extend far beyond those they serve through volunteering, charitable works, and donations. A well-run corporate responsibility program has financial and social benefits to the giving organization, as well. Market leaders are striving to find the most critical needs regarding employees, industry and the local community. As millennials join a diverse multi-generational workforce, volunteering is a recruiting and retention consideration. 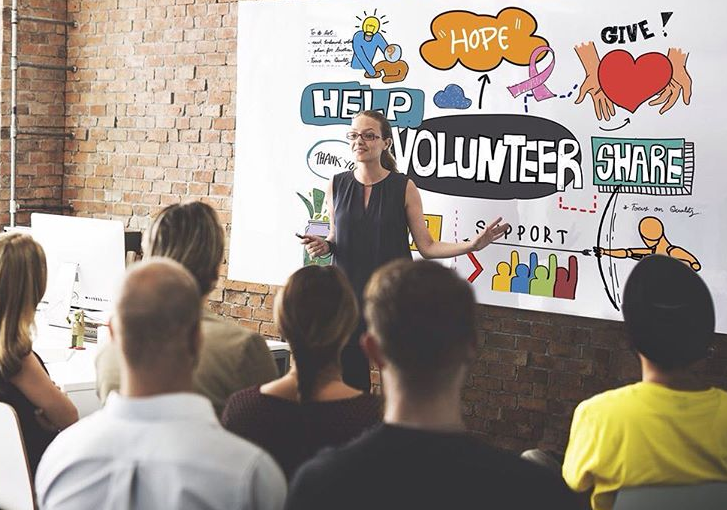 There’s an avalanche of supporting studies from Deloitte, Gartner, Forrester, and others on the benefits of a Corporate Volunteering Program. The outcomes consistently prove a return-on-investment and happier employees.